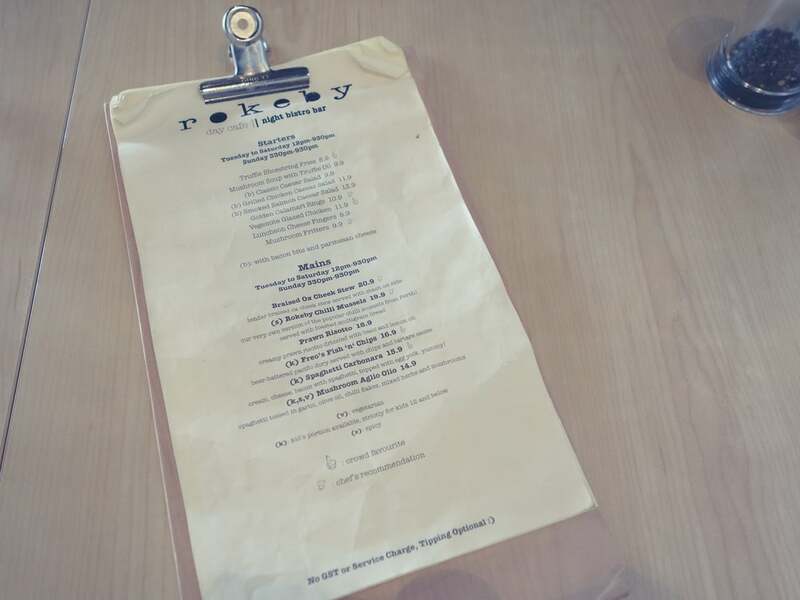 Opened for merely a year or more, Rokeby has became a popular cafe bistro in Lorong Chuan, with regulars from the neighbourhood and cafehoppers who travel far and out for its delicous food. They have continuously worked to improve on their food, coffee and store layout, and has maintained a good consistency, bringing diners back time and again. Having stayed in Australia for some years, the cafe owners have tried to instil a sense of familiarity with a laid back and woody style in their cafe interior. Even the name “Rokeby” was adapted from a town in Australia. This place is strictly for meals as it is usually crowded during meal times, especially on the weekends. 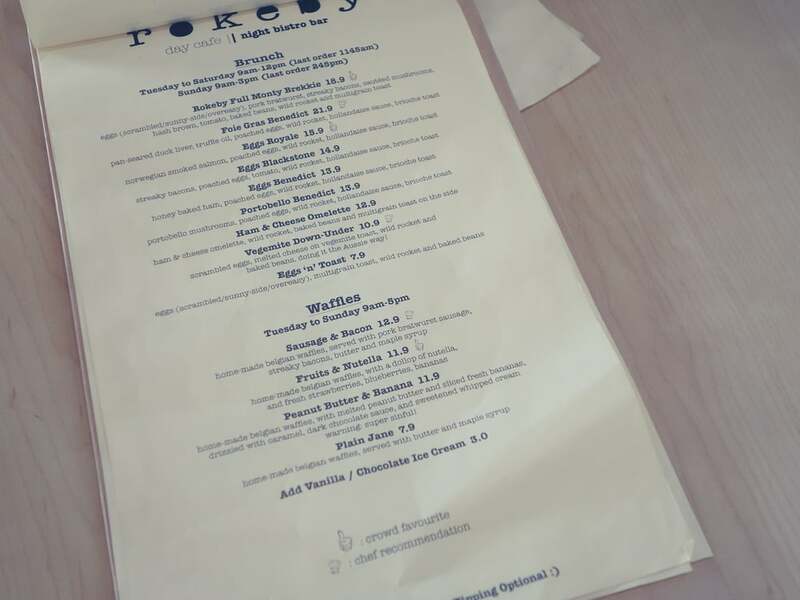 They do not have wifi and power points for laptops as well, so enjoy Rokeby for its food and coffee. I really liked this cup of Cafe Latte. The aroma was really good, and the complex taste gave a very interesting experience. Some fruity taste, as well as a mix of sweetness and bitterness emerged as it rolled on the tongue. There was a slight tint of bitterness in the after taste. The Waffles were really crispy and fluffy too. The waffles were delicious enough with just the maple syrup. The bacon and sausage did not go hand in hand with the waffles, but were yummy sides on its own. If you are undecided on a savoury or sweet dish for your meal, you could have both with this item. The Rokeby Full Monty Brekkie was really wholesome. All the individual ingredients were delicious and perfectly cooked. The scrambled eggs were really fragrant and tasty, and the moisture was retained without it being too runny. The entire dish was really satisfying and filling. I could find no complaints with the food served at Rokeby and I would definitely recommend it for your brunch hunts. The simple and laidback interior provides a relaxing ambience for enjoyment of hearty meals with friends and family. I would recommend you to have a try of the coffee here as I personally liked the complexity and balance in the taste. Thank you Rokeby for hosting us!